Salad with cucumbers, avocados and tomatoes. 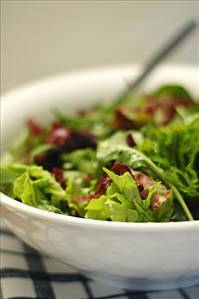 Simple tasty salad with an olive oil and red wine vinegar dressing. A sweet salad that's good for you. A delightful Turkish dish served chilled just like a salad that's very healthy and full of fiber.